Do you watch Numb3rs? It is a TV show where the two main characters are a FBI agent (Don) and his younger brother (Charlie), a very clever mathematician. The show is based on the idea that crimes can be solved with numbers. In each episode, Charlie uses different mathematic techniques to find information regarding some crime scene. In an episode of the third season (Brutus), Charlie uses data mining techniques. To be honest, I haven’t watched this episode. I’m not a big fan of the show, but I find it interesting sometimes. 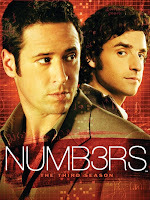 If, like me, you missed this episode, Devlin and Lorden have written a book about the show: The Numbers Behind Numb3rs: Solving Crime with Mathematics (Plume Book, 2007). This book describes the mathematics behind Numb3rs. Chapter 3 (on data mining) is quite interesting. Authors are mentioning facts and anecdotes relevant to data mining. However, it is often not related to the show itself (it goes deeper in explaining the details of some methods). The book tries to vulgarize the concepts of data mining. It is quite normal since the audience certainly consists of people interested by the show. Oops! This is not vulgarization anymore. It is simply wrong. This is the bigger risk of vulgarization: trying to change the terms to make an explanation clearer may ends up incorrect. However, the rest of the chapter is generally fine and even sometimes very technical.